The sewer camera combines camera, monitor, AND locator in an all-in-one package. You get a large 7" LCD color monitor protected by a padded case. It's mounted on a rugged yet flexible gooseneck that swivels to give you the best viewing angle, wherever you're working. 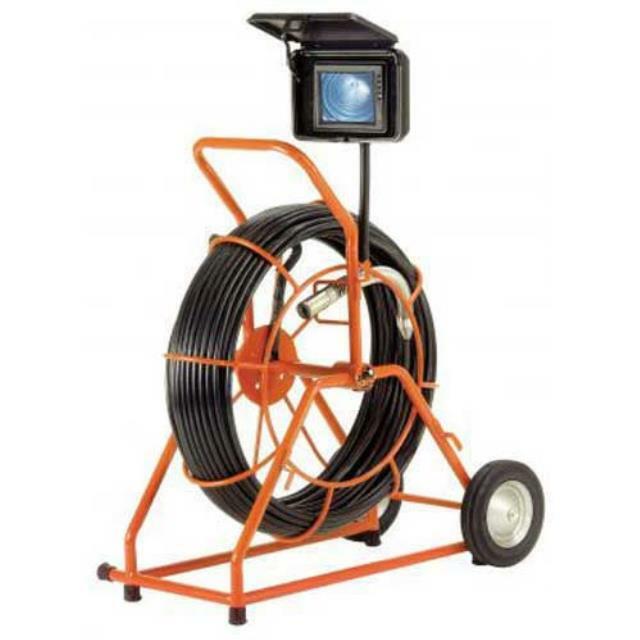 It features a self-leveling camera and 200 ft. of Gel-Rod for troubleshooting 3" to 10" drain lines. The tough steel frame can be operated vertically or horizontally, so you can handle nearly any application. A video out connection lets you record on an external device. The digital locator is also included. The locator allows you to detect where the camera is underground, making targeting the repair area a breeze. Click here for the General Gen-Eye Pod operator's manual.